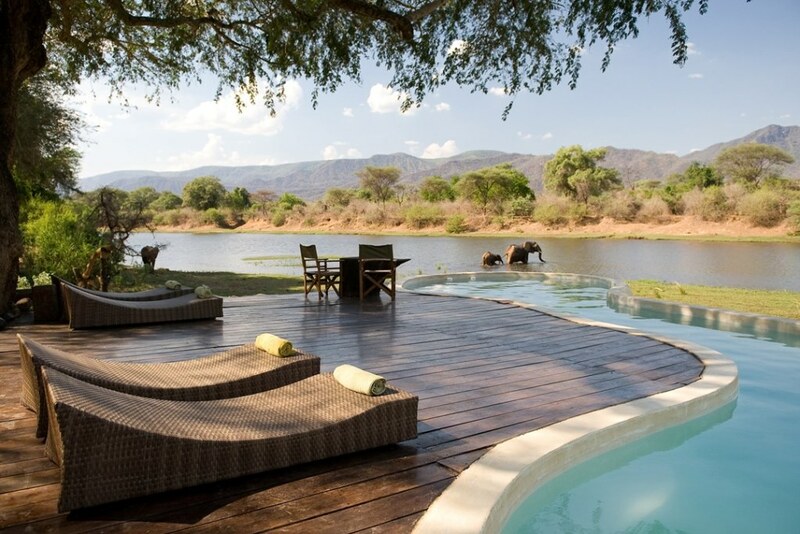 I love a pool; more for swimming in than lazing alongside, and our clients often cite a swimming pool in their must-haves for their safari holiday. Indeed, one of the most relaxing ways to spend downtime when you are on safari is to cool off for a dip in a private pool. Children also love a pool on holiday to make friends and fill leisure time between morning and afternoon game drives. What is more is that in Africa pools are not just for humans, occasionally elephants use them as a watering hole so you might get a real close up of an elephant drinking if you are lucky! 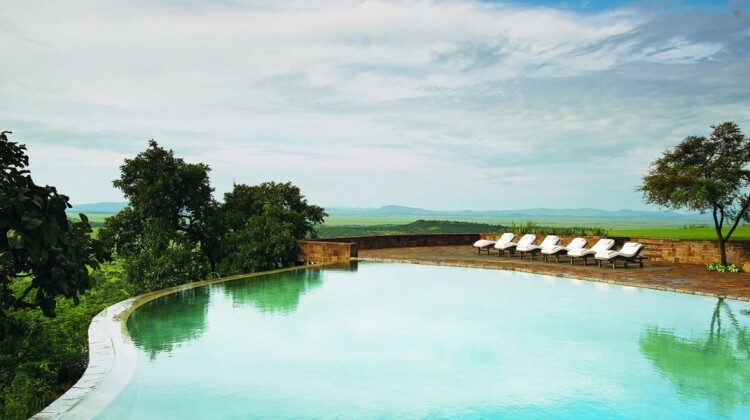 Our expert safari team has hand-picked the 15 very best safari swimming pools in Africa from fitness oriented to infinity pools, and from quirky to those with the best views. 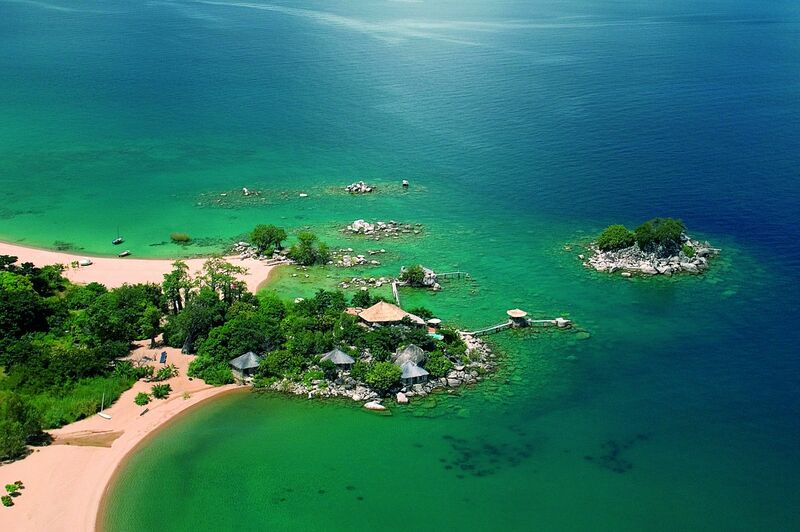 Fitness Sausage Tree Camp, Lower Zambezi, Zambia – This infinity pool under the shade of Mahogany trees overlooks the Zambezi River. Heated Morukuru Owner’s House, Madikwe, South Africa – Nestled in the dappled shade of the Morukuru trees is a 14 metre heated infinity pool. 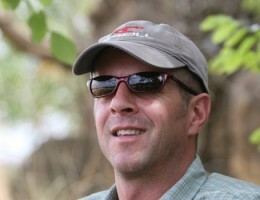 Mara House, Masai Mara, Kenya. 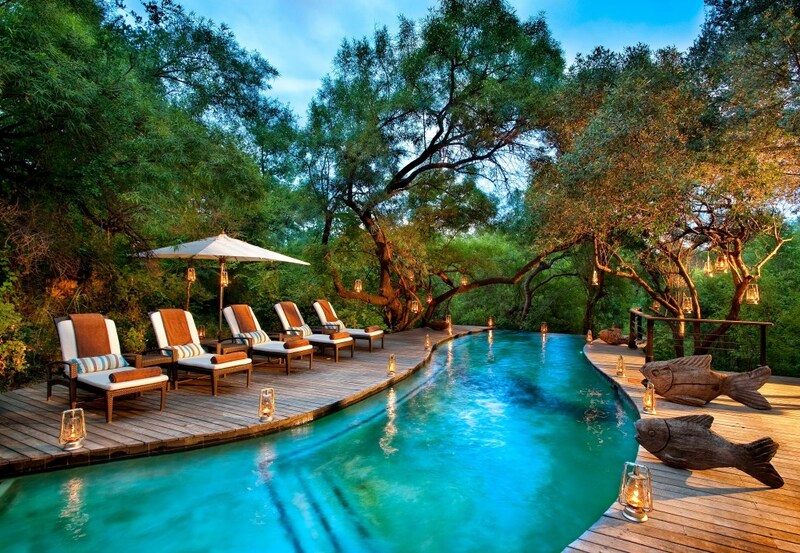 Shared with Acacia House the swimming pool is a wonderful place to relax after a game drive. The house makes an ideal hide for watching many species of animals drinking from the waterhole and the huge number of bird species while relaxing on the verandah or by the pool. Infinity Singita Sasakwa Lodge, Serengeti, Tanzania – Each cottage or villa has a private infinity pool, as well as use of the larger communal lodge pool, spa and gym facilities. 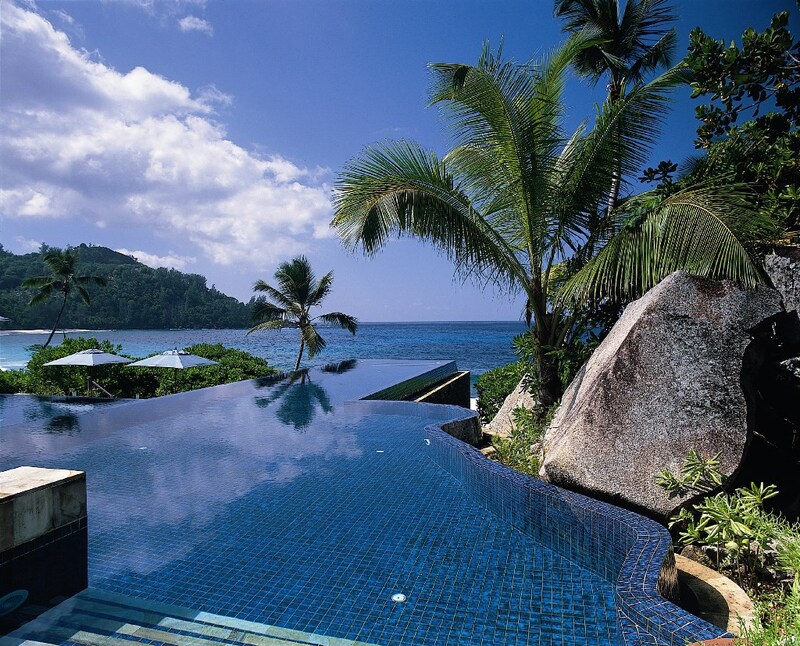 Banyan Tree, Mahe, Seychelles – Each beach bungalow has its own private infinity pool with uninterrupted views of the beach and the Indian Ocean beyond. 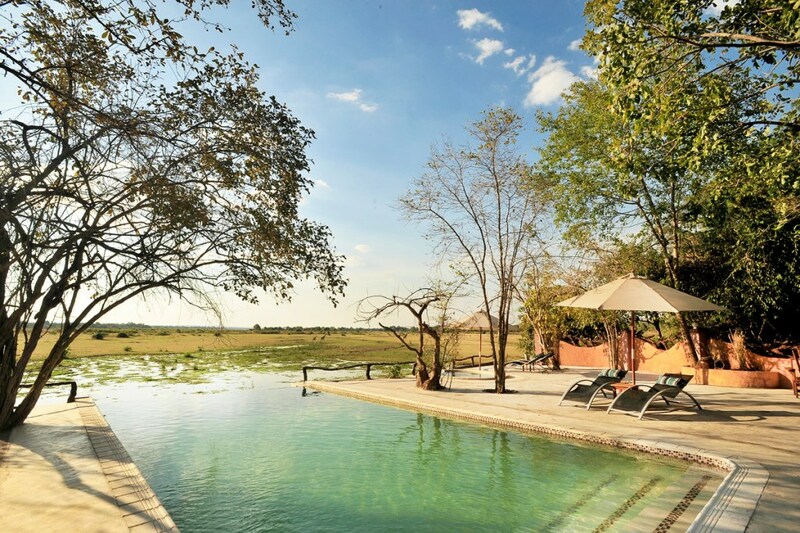 Private Chinzombo Camp, South Luangwa, Zambia – Each of the villas blend into their surroundings and have their own private, infinity plunge pool. 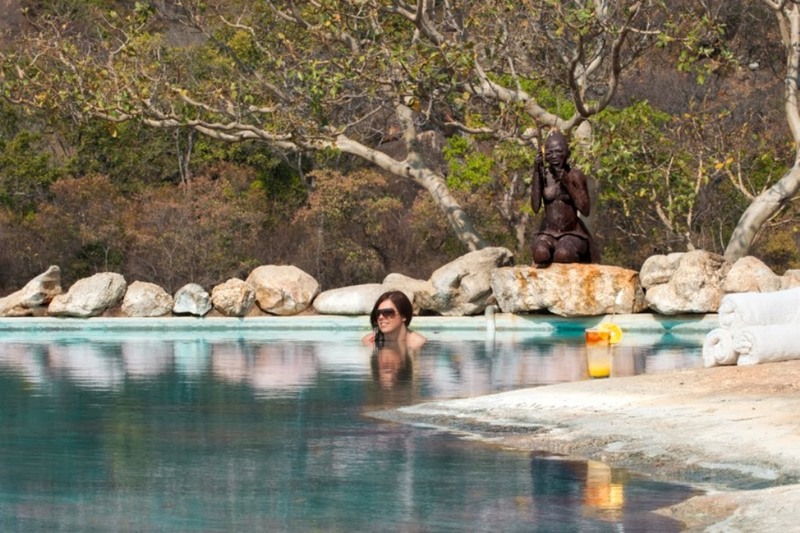 Quirky Plunge pools Camp Amalinda, Matobo Hills, Zimbabwe – Camp Amalinda has plenty of quiet corners and a plunge pool in which guests can relax and enjoy the sounds of the bush around the camp, and there’s also a spa. 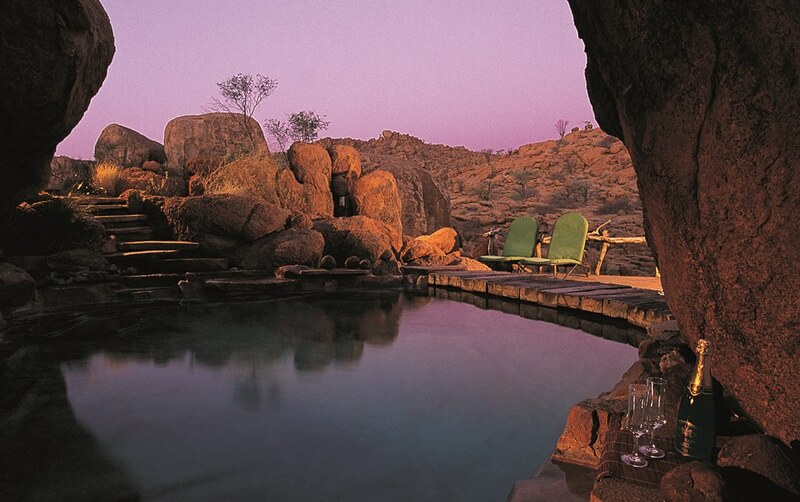 Mowani Mountain Camp, Damaraland, Namibia – This plunge pool is nestled among dramatic rock kopjes, perfect for sundowner drinks; a welcoming respite from the hot sun rays of the Namibian desert. 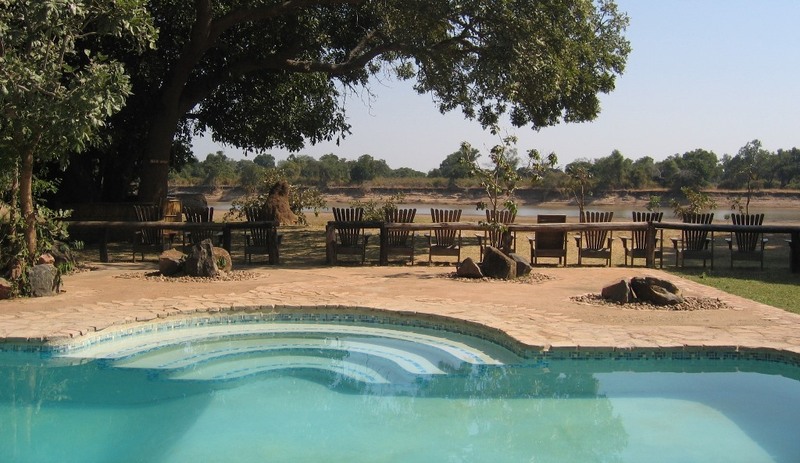 Safety Flatdogs Camp, South Luangwa, Zambia – This large shallow pool with steps, and views of the Luangwa River, is ideal for children’s swimming. 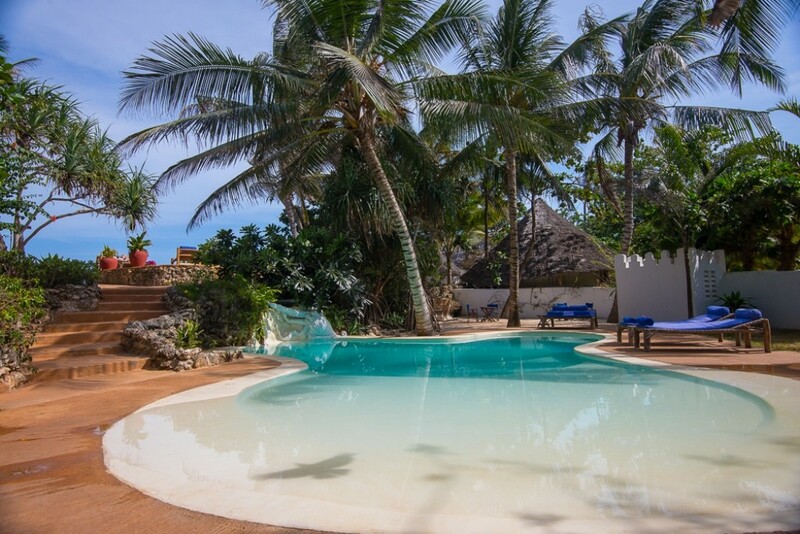 Matemwe Lodge, Zanzibar Coast, Zanzibar and Islands – The lodge has two pools, one a gently sloping shallow pool, suitable for children. 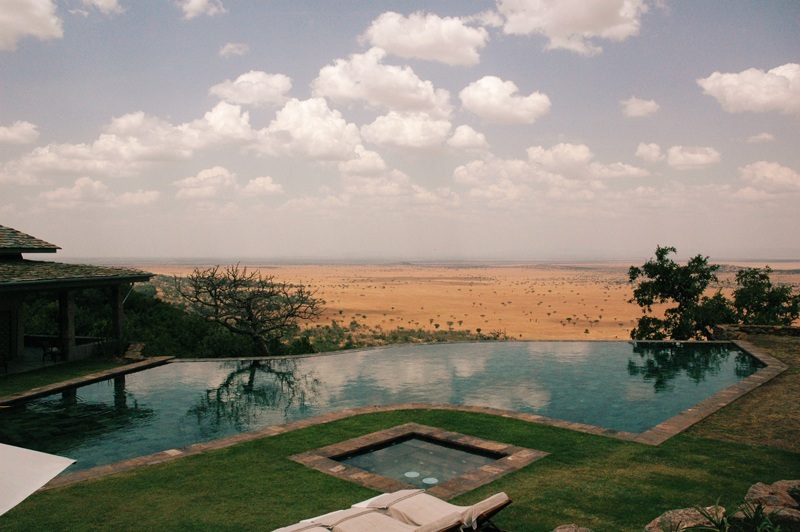 Views Ol Malo, Laikipia, Kenya – The lodge is set on the edge of cliff and looks south over the deep valley, giving impressive views from the pool of the surrounding wilderness and occasionally Mount Kenya far in the distance. 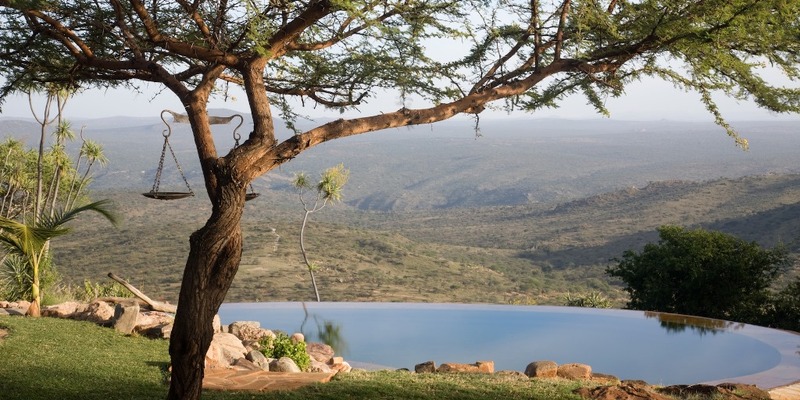 Saruni Samburu, Samburu, Kenya – Saruni Samburu is perched on an impressive hill top with panoramic views out across northern Kenya from the infinity pool. 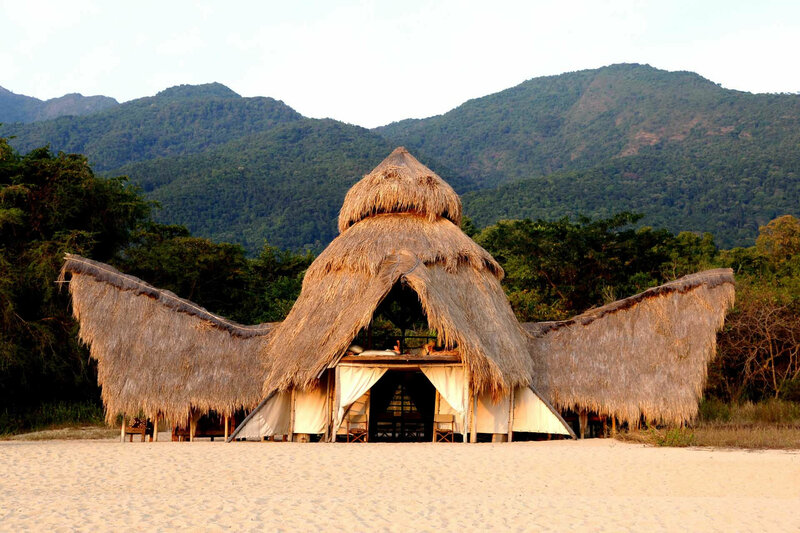 Wildlife Kafunta River Lodge, South Luangwa, Zambia – At the main lodge there is a bar area, swimming pool and a natural hot spring in which guests can unwind and take in the scenery and wildlife. 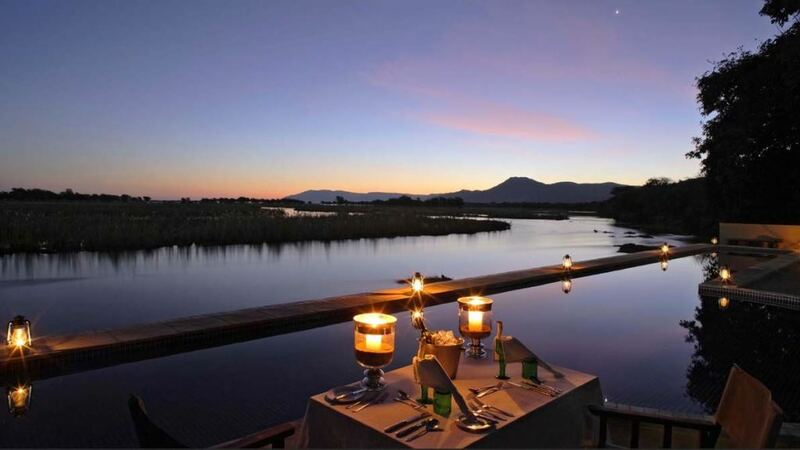 Chongwe River House, Lower Zambezi, Zambia – The house has wonderful views of the Muchinga Mountains and wildlife on the Chongwe River. 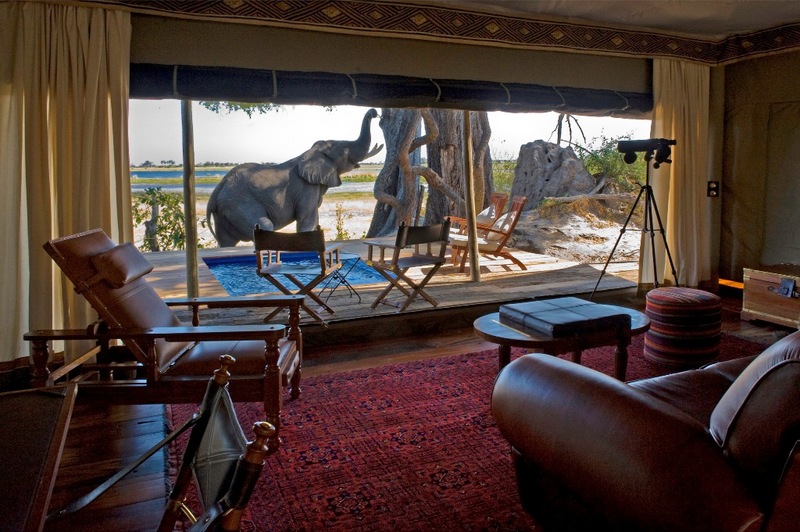 Our safari experts are on hand to recommend the perfect camp for you and your family. 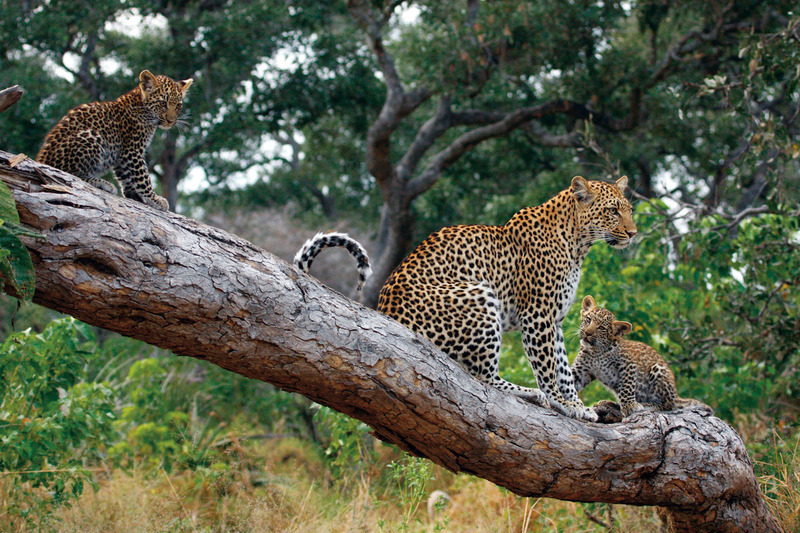 Contact us today to turn your safari dreams into holiday memories.